Core Digital Network, a communication project implemented by Tyrone Donegal Partnership partnered with Intercomm Belfast, approached PUSH to develop a brand identity for their new initiative. Understanding the communication needs of a digital-based project, we kept the whole feel of the branding light and simple, in keeping with the digital age, which allowed Core to reach out and tap into the groups and businesses that would benefit from its video conferencing facilities. 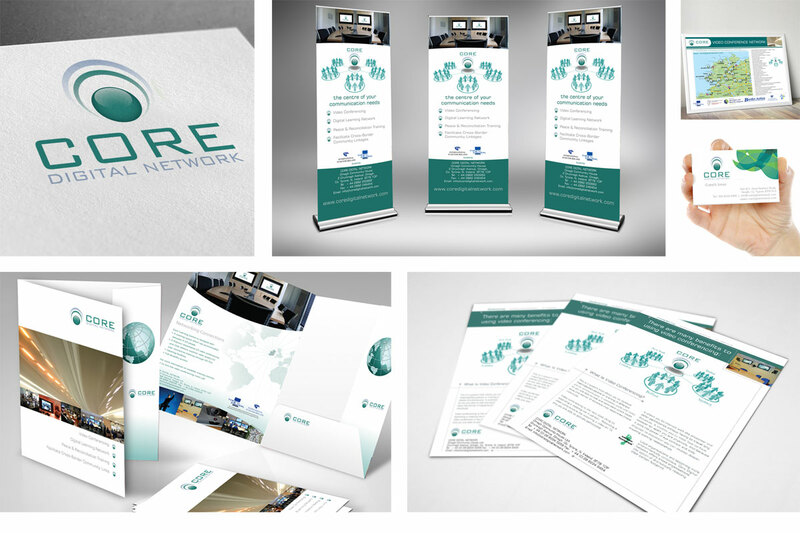 As part of our ongoing relationship with Core, we’ve developed all elements of their promotion from stationery to invites to exhibition stands. We have also recently branded Core Digital’s sister company, InterMedia Ireland, a multimedia broadcast facility for learning and professional use. So we are currently working on promotional and exhibition material for the company’s official launch.